GITAI Inc. and SKY Perfect JSAT Corporation have signed a memorandum to explore a future alliance with a view to creating new businesses for both companies. Accompanying the increasing international competition to develop space technologies in recent years, the work in outer space is rapidly increasing since, in addition to the International Space Station (ISS), private U.S. and other companies have begun building multiple commercial space stations, such as space hotels and space stations for scientific experiments. Currently, astronauts are relied upon to operate the equipment, perform the maintenance, and conduct the scientific experiments in space — reducing the safety risk, shortening the required time and reducing the cost are issues facing space development. 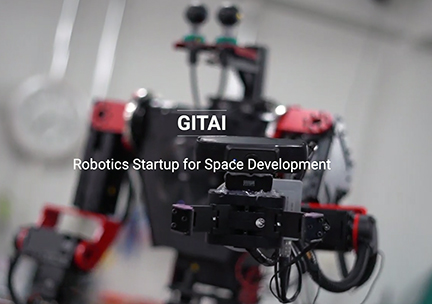 GITAI aims to replace astronauts with robots that can work for a long time while being remotely controlled from Earth while in LEO space stations such as the ISS to reduce the burden on astronauts(*1), shorten the time required to perform work in space as well as to reduce costs. 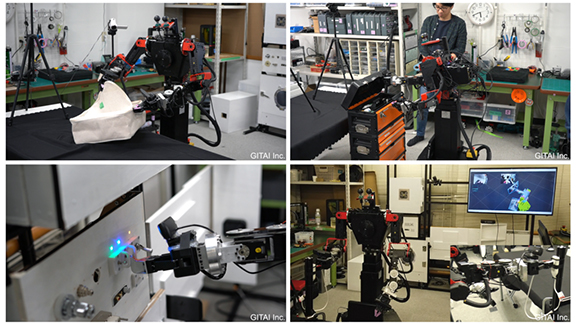 GITAI has begun verification with the goal of realization in 2020(*2) and the company has already successfully conducted communication tests for space robot manufacturing and remote operation. By introducing robots, GITAI aims to lower the cost of working in space by 90 percent by reducing the number of required rocket launches, which are a burden on space development. SKY Perfect JSAT, which signed the memorandum with GITAI, has 17 communications satellites in stationary orbit, the most of any Asian nation (as of March 2019), and since that company began service in 1989, it has been operating communications satellites for 30 years and is driving the space business as a private Japanese company. The satellite communication service provided by SKY Perfect JSAT covers Japan, Asia, Oceania, Russia, the Middle East, Hawaii, and North America and provides stable support for the social security, safety, and convenience of those countries. Space development robot startup GITAI and Japanese space business pioneer SKY Perfect JSAT are proceeding to discuss a business alliance that is focused on the future space businesses that both companies will operate by effectively utilizing their mutual business know-how and business foundations to maximize the synergies of both companies’ businesses.